Lox is a big no-no when you’re pregnant. It’s also one of my favorite foods. When Little B was born, Lawman brought me not one but TWO Russ and Daughters bagels with lox in the recovery room at the hospital. 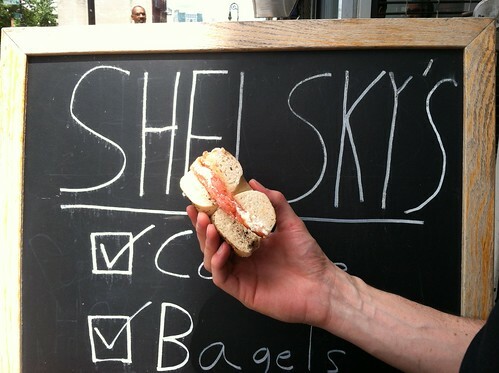 This time around, I waited until I got back to Brooklyn to get my lox fix and made my inaugural trip to Shelsky’s on Smith Street. Congratulations on the new addition to the family! 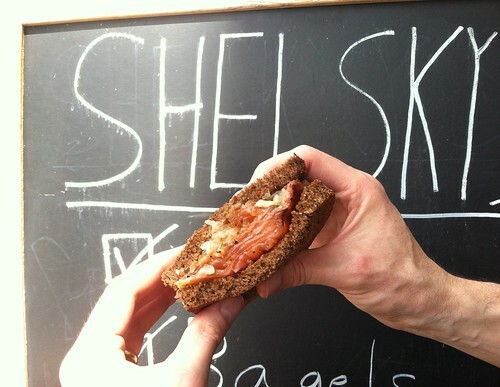 So glad you can enjoy your beloved lox again- that shop sounds really amazing.